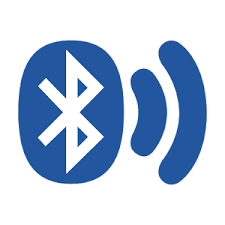 Most Google Chromebooks have Bluetooth capabilities and can be used to connect to a wide range of Bluetooth devices. The most common Bluetooth devices are mice, keyboards, headphones, and even printers. This Bluetooth connectivity is important to Chromebook users because some may prefer to use a full size keyboard or separate mouse instead. A Chromebook user simply connect one via wired USB or Bluetooth connection. See this information on the best Chromebook Bluetooth speakers. You can tell your Chromebook works with Bluetooth if your menu shows either of these icons: or . The Bluetooth device appears in the Bluetooth status notification area when it connects successfully. It is very easy to connect a Bluetooth device to a Chromebook. To activate the Bluetooth connectivity, click the lower right corner of the desktop (where the battery status icon resides) to open the settings submenu, click Enable Bluetooth, and follow the onscreen instructions to pair the devices. The notification panel also provides quick access to the Bluetooth function, allowing you to quickly turn it on or off. Simply swipe down on the Status Bar to display the Notification Panel and tap Bluetooth to turn it on or off. Any Bluetooth devices within range will appear in the dialog box. Left-click on the device to which you want to connect, and then click on the Connect button. After a moment you should see a message informing you that the device is now connected. Certainly devices, like a keyboard, may require you to enter a specific code before they will connect. This code should appear on the screen or be in the device’s documentation. If you are prompted to enter a passkey or PIN code, enter your device’s code. If you are prompted to confirm an automatically generated passkey, click Accept. The Bluetooth device appears in the Bluetooth status notification area when it connects successfully. To check that your accessory is paired, check the status area. You should see it listed there. If you’re turning on your Chromebook for the first time and you have a Bluetooth accessory nearby that’s also turned on, your Chromebook might automatically detect the device and help you pair it. Select your Bluetooth status in the menu that appears. If Bluetooth is disconnected, click on the disconnected icon to enable, or click Enable Bluetooth in the menu. Your Chromebook will automatically begin scanning for available Bluetooth devices. Select the device you wish to add from the list of available Bluetooth devices and click Connect. Follow the instructions on the screen to connect your Bluetooth device. If you’re connecting a mouse, no PIN is normally required. If you’re prompted for a PIN, enter the PIN for your mouse using your Chrome device’s keyboard. If you’re connecting a keyboard, enter the randomly generated PIN on the keyboard you wish to pair and press Enter. What can you connect via Bluetooth on Chromebook? Many users will find connecting Bluetooth speakers and headphones one of the more common things to connect to a Chromebook. To unpair a Bluetooth device, select the Status Tray, and then select Bluetooth enabled > Settings. Under Paired devices, select the paired device you want to unpair, and then select More options > Remove from List. Under Paired devices, select the paired device you want to unpair, and then select More options. Turn the Bluetooth connection off, then on again. Turn your Chromebook off, then turn it back on. Under your “Fixing Chromebook Bluetooth Problems.” your first point is “Make sure that the Bluetooth device is compatible with a Chromebook”. That being said, it would be great to have a list or link to check this.